Q: Why go for original A.C. Synchronous Servo Motors? A: No duplicate can take the place of an original. Thus, it is always a wise decision to buy everything original. Even in the case of A.C. Synchronous Servo Motors, original ones have always proved their worth. The Original may cost more than a duplicate, but the quality of the duplicate will never match the quality of an original one. It is also an illegal act on the part of the consumer who buys the cheap pirated product from the gray market. Q: How to detect duplicate ones? A: Duplicate products can never match the quality of an original one. There are several ways to identify the original. 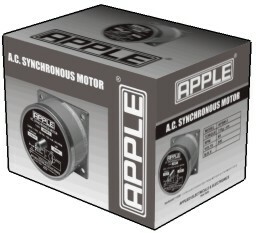 Our AC Synchronous Servo Motors are packaged in a corrugated box. Our packaging has a black & white image of both logo and our products.